✅ READY FOR USE IN 45 SECONDS- Just Add Beans! 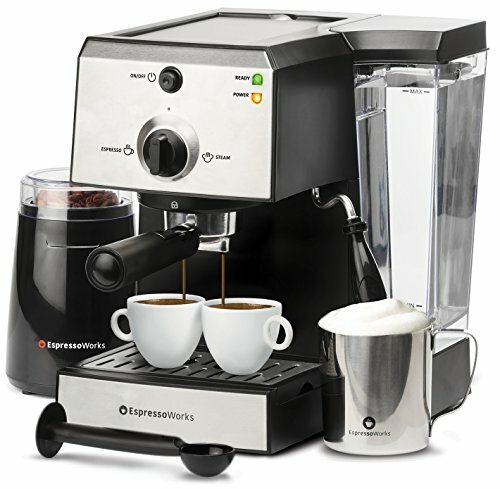 With the advanced Thermoblock fast heating system you can always expect precise temperature and instant steam from the EspressoWorks® All-In-One Set. ✅ SINGLE SHOT OR DOUBLE SHOT- Two stainless steel portafilter baskets included for the option of pulling a single shot or a double shot during each brewing. If you have any questions about this product by EspressoWorks, contact us by completing and submitting the form below. If you are looking for a specif part number, please include it with your message.